£50 banknotes carrying the portrait of Sir John Houblon were withdrawn from circulation on 30 April 2014. Only the £50 banknote featuring Matthew Boulton and James Watt, which was introduced in November 2011, now holds legal tender status. 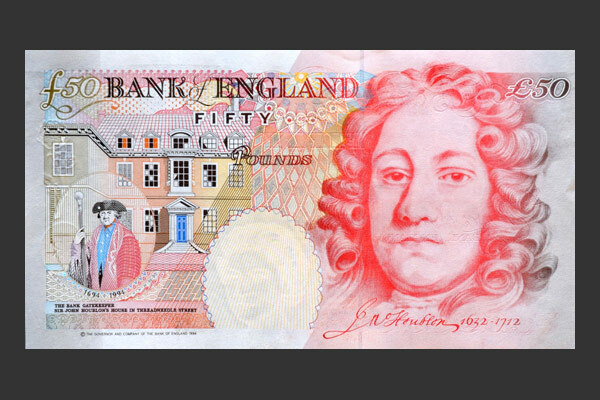 Most banks and building societies will continue to Houblon £50 note back accept them for deposit to customer accounts; however, agreeing to exchange the notes is at the discretion of individual institutions. 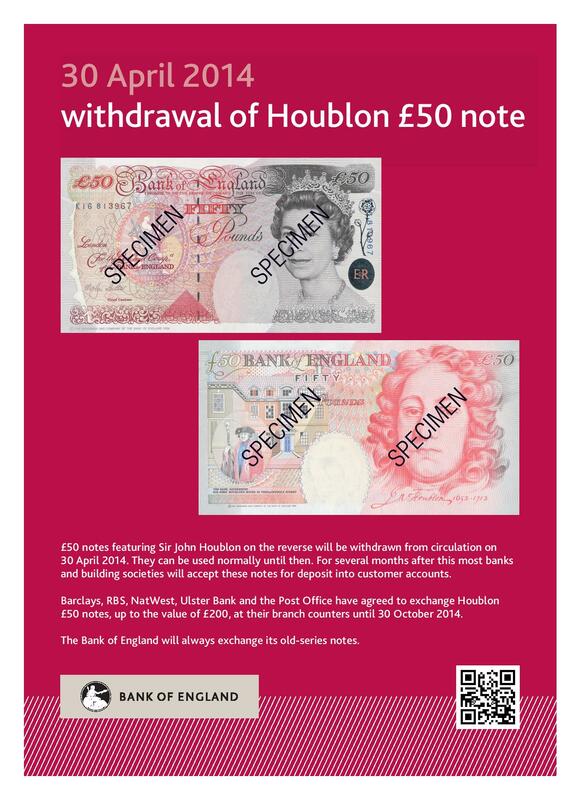 Barclays, RBS, NatWest, Ulster Bank and the Post Office have all agreed to exchange Houblon £50 notes for members of the public – up to the value of £200 – until 30 October 2014.